Working for ESPN for nearly five years, I have had the unique opportunity to not only witness amazing sports moments but to be a part of capturing and telling the great stories in sports. It’s why I first got into television and why I wanted to work for the best in the business. I love storytelling. The world of sports has an infinite number of inspiring acts of sportsmanship, unbelievable feats of the underdog, and last-second victories that make you jump to your feet and send goosebumps down your spine. After five years of being on the “other” side of sports, I have made the difficult decision to put my ESPN career on hold and take a leap into chasing my own sports story, in hopes to become an Olympian. 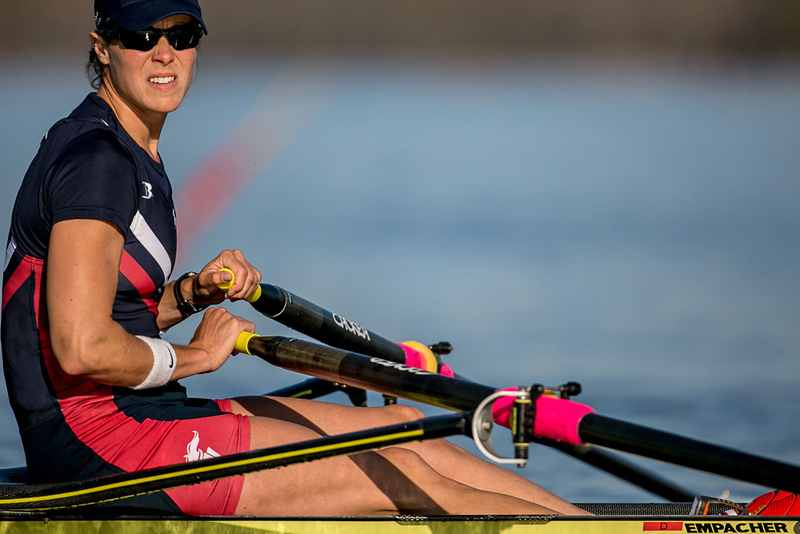 Less than three years ago, I attended my first “learn to row” class at a small rowing club on the Connecticut River in Hartford, Conn. Just 18 months later, I received the official invite and began training with the United States Women’s Rowing Team at the U.S. Rowing Training Center based in Princeton, N.J. I was fortunate enough to have the support from ESPN to train with the U.S. Team while continuing to work. After spending last year as a member of the 2012 Olympic selection group, I knew that this was what I wanted to do. I had stumbled upon a once-in-a-lifetime opportunity. I could not have done this without the support from my coworkers and managers. It’s impossible to fully express how much I have valued my time with ESPN and have grown from the experiences and relationships I’ve made with all of the wonderful and talented people here. From my beginning as a Production Assistant in the Charlotte-ESPN Regional Television office, to my time with Programming in Connecticut, ESPN has positively altered the course of my life in so many ways. And so I’ve turned in the laptop and PDA for a boat and oars. What used to be days full of meetings and conference calls are now filled will two, three, or maybe four training sessions; presentations and performance reviews are replaced with World Cup and World Championship races; and finally watching those big sports moments are replaced with creating my own. Thank you for the memories. Thank you for the inspiration. 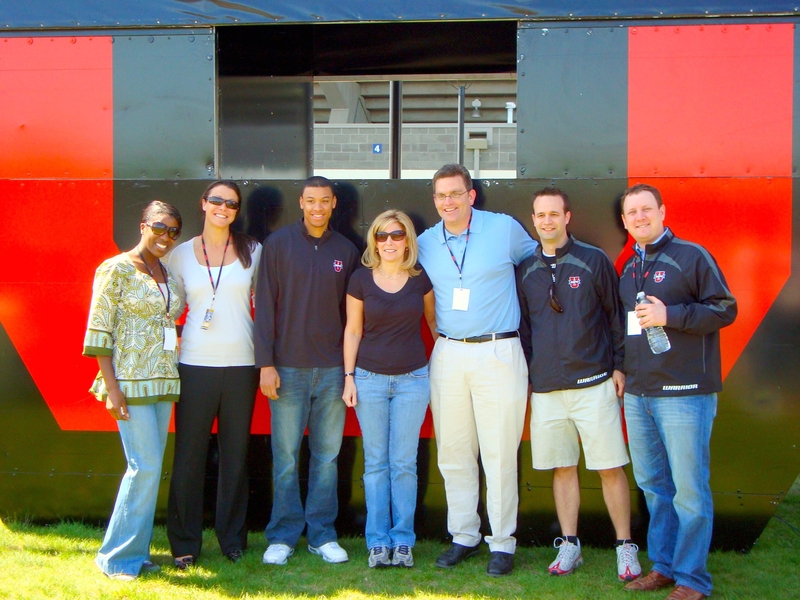 At the ESPNU Warrior Classic men’s college lacrosse event in Hartford, Conn. circa 2011 (L-R) ESPNU’s Rosalyn Durant, Meghan O’Leary, Kevin Lopes, Lauren Albee, Dan Margulis, AJ Mazza and consultant Darren Lachtman.